Comtek repairs the complete range of Quick Eagle and Digital Link products. Quick Eagle Networks was first known under the name of Digital Link™ Corporation. Quick Eagle is a leading provider of WAN Access technology. Quick Eagle Networks has been an industry leader in developing and expanding WAN access technology. 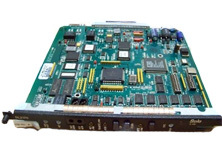 Comtek repairs all current and legacy Quick Eagle and Digital Link products.